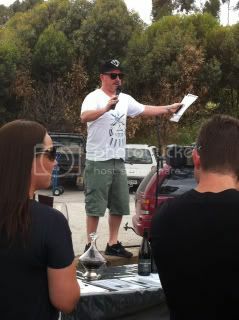 A collection of McLaren Vale small scale winemakers have bandied together to form a collective called the “Vale Cru”. For the last 4 years this group has gathered for an afternoon tasting, during October, at the Victory Hotel. I must admit I am biased towards this group, even to the point that resistance is useless. A lot of my original contacts and wines sold from my Taste McLaren Vale venture have come from the Vale Cru’s first annual Victory Hotel tasting. In an industry where the small producer spends so much time and effort to make the best wines possible the marketing effort can be at best difficult. Combining their efforts into this collective makes so much sense. However making sense and making such a venture work is not always easy or effective. Over the years there has been a number of winemakers come and go but there seems to be core and stable group. It should be noted that Bekkers are not a part of the Vale Cru but attended under invitation. There was also a speaker in attendance and in this case it was Nick Stock. Nick was very approachable in discussions about the wines. 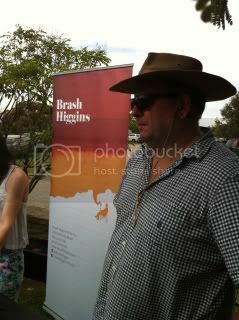 I discussed McLaren Vale Grenache with him before I realised who this guy was. On a personal note it was also good for me to find out that not only is Nick an Adelaide boy but he also follows the same SANFL team I do (Norwood Football Club). After spending 6 months on skins in clay pots (or amphora) this wine style is unlike anything else I have tasted. With anise character wrapped around what I can only describe as cold tea. Amazingly every time I taste this wine I think about the special tea blend my grandmother used to drink. This wine is interestingly good all the way and I recommend this as a must try wine. This was my bargain wine pick of the group. So much depth and character for the price. The redness and peat character of the Blewitt Springs Grenache mixed with the strength of McLaren Vale Shiraz. I know Grenache is a hard sell but if you try this wine you will wonder the same. Adam has access to old dry grown bush vine Grenache and makes this special fruit sing with all the love that he can muster. This wine is consistently one of the best expressions of McLaren Vale Grenache and another must try. Just bottled and a sneak peak. Straight away it stood out. 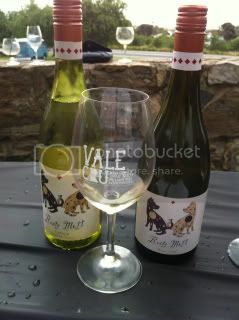 A white wine showing such character in McLaren Vale!!!!! This wine won a number of trophies in the McLaren Vale show (held the week after this tasting). The wine showed so much with floral rose water notes with minerality mixed with a lemon acid length. Again I find this variety interesting with an almost salty flavour – just so different. This was by far the best wine of this variety I have tasted. I have previously reviewed this wine and it is again a highlight. With many wines showing masculine depth this expression of the Shiraz is more feminine depth. The wine has a softness but complexity that belies this softness. James Halliday has rated this a 94/100 and I can see why. Well done Scott. This entry was posted	on Sunday, December 29th, 2013 at 10:20 pm	and is filed under McLaren Vale, Wine. You can follow any responses to this entry through the RSS 2.0 feed. You can leave a response, or trackback from your own site.